"Welcome back!" was the theme in the world of the tight end in week 5. Rob Gronkowski returned from his bye week. Antonio Gates came off of his suspension and reminded us all that he is still a threat, catching a pair of touchdowns. Julius Thomas made his Jaguars debut after missing the first four games with a hand injury. Other than that, it was business as usual throughout the tight end landscape, with several big performances to take note of, and another spate of injuries to monitor. Remember: an asterisk (*) next to a player's name denotes a possible injury concern for that player. 1. Rob Gronkowski @ IND- Pats vs. Colts equals all kinds of headlines, and another opportunity for Gronk to remind everyone why he is the cream of the tight end crop. 2. Greg Olsen @ SEA- Many owners (starting with your's truly) will welcome Olsen back off of his bye week. Very tough matchup on the road against a Seahawks team that will be smarting from a week 5 overtime loss to the Bengals, but Olsen is Cam Newton's go-to guy, and should see plenty of targets regardless of what the Legion of Boom throws Carolina's way. Caught 4-of-6 balls for 58 yards in the playoff matchup with Seattle in January. Look for Olsen to work the seams; Tyler Eifert was able to post an 8/90/2 line in week 5 against the 'hawks. 3. Travis Kelce @ MIN- The Chiefs need big plays now more than ever with Jamaal Charles (ACL) done for the season. Somehow, KC needs to get its passing game on track, and Kelce may be their best bet through the air. 4. Martellus Bennett @ DET- Even if Alshon Jeffery returns, Marty B. will remain a giant piece of the gameplan, and should look to take advantage of the fast track at Ford Field. 5. Tyler Eifert @ BUF- We've already addressed Eifert's big day in week 5 against Seattle. He faces another tough matchup against the scheming Bills in week 6, and will look to start stringing some consistency together. 6. Jimmy Graham vs. CAR- 3 catches for 30 yards: not quite the stat line that Jimmy Graham or his owners envisioned when his trade to the Seahawks was completed in March. He's still an every-week starter at the tight end position, and will look to get on track against the Panthers at home. Seattle should be trying everything in their power to get the dynamic Graham back on the rails in what has been an up-and-down year for both player and team thus far. 7. Jordan Reed* @ NYJ- If he plays, Reed is a top-10 start at a position that is not very deep in talent. His health will always be his biggest opponent, not taking anything away from the Jets, who pose a difficult matchup for both Reed and understudy Derek Carrier. 8. Kyle Rudolph vs. KC- Fresh off of a bye week, Rudolph seems like a sneaky candidate to get going in week 6. He'll look to outshine Travis Kelce on the opposing sideline. 9. Gary Barnidge vs. DEN- "Big play Barnidge" struck again in week 5, making one of the most incredible touchdown catches one will ever witness. He's no fluke. Barnidge continues to prove that he is good enough, and athletic enough to play and perform in the NFL. 10. Jordan Cameron @ TEN- The Dan Campbell era begins in Miami, with Joe Philbin a goner. Look for former tight end Campbell to stress getting Cameron more and more involved in the Dolphins' offense. 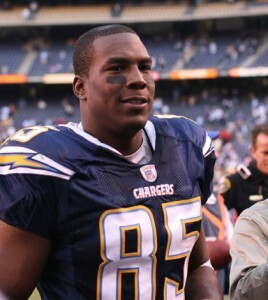 Welcome back Antonio Gates. The veteran found the end zone twice in week 5 upon his return from a 4-game suspension. Larry Donnell @ PHI- With the Giants' receiving corps banged up across the board, Donnell could be ticketed for a big role in the passing game on Monday night against Philadelphia. Derek Carrier @ NYJ- If Jordan Reed misses another game or is limited, Carrier would be an interesting play. He scored against Atlanta in week 5, though he was no more than Kirk Cousins' third option on any given play. Garrett Celek vs. BAL- Super sleeper here. Caught 3 of 5 targets for 26 yards and a score in week 5. 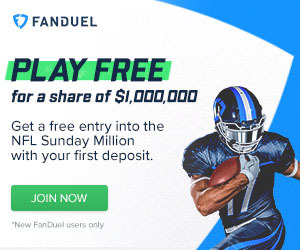 If Vernon Davis remains sidelined through week 6, Celek may be worth a streaming flyer for owners in desperation mode. Darren Fells @ PIT- Another deep one here. Scored his second touchdown of the year in week 5. Bruce Arians returns to Pittsburgh in week 6, and Fells may benefit from some creativity in the Steelers' former OC's gameplan. Be sure to pay attention to the injury reports as they are released and updated through the week. Good luck in week 6.